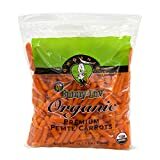 Are Baby Carrots Real Food? Have you ever wondered where baby carrots come from? Are they a separate, diminutive species of carrot, or are all those internet rumors true–that baby carrots are “manufactured” by grinding up all the broken and ugly big carrots that can’t be sold in the package and processing them into the “baby” carrots? Let me set the record straight. Baby carrots are real carrots. Baby carrots are the brainchild of a Bakersfield, CA farmer who was losing 70% of his carrot crop to waste due to imperfect looking carrots that he couldn’t sell. In the late 1980’s he came up with the idea to peel and cut the carrots that were too twisted or knobbly into pieces small enough to make use of their straight parts. He bought an industrial green-bean cutter, which just happened to cut things into two-inch pieces. Thus was born the standard size for a baby carrot. In 1989, he sold the “mini carrots” to a local supermarket, and the rest is history. 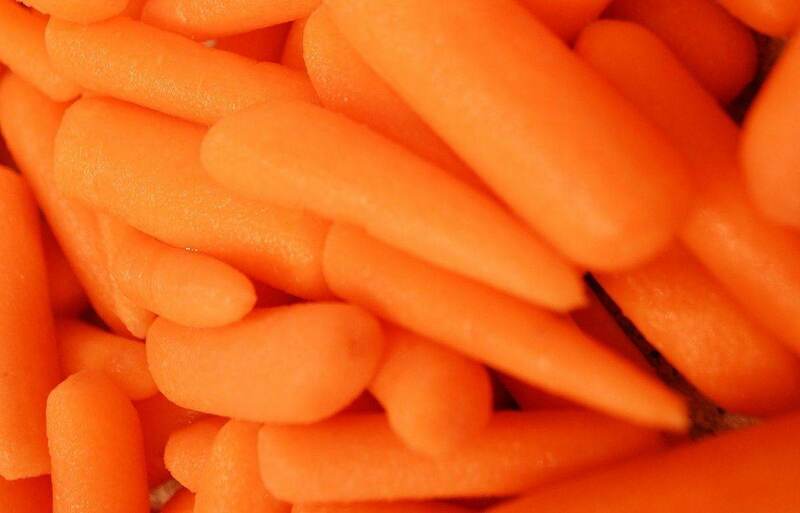 Today baby carrots account for over 80% of all retail carrot sales. They are an economic juggernaut! The technique for growing, peeling and cutting carrots into “babies” has been perfected. Today, the carrots used to make baby carrots are not the misfits. They begin as full-size, long and slender carrots which have been bred for size, diameter, and uniform color—a hybrid carrot that combines the best qualities of more than 250 known commercial carrot varieties. To get the best tasting carrots, they are allowed to grow almost to full maturity before harvesting. The ideal carrot is about 5/8-inch in diameter and 14 inches long, a length that allows the carrot to be cut into four 2-inch pieces to make baby carrots. After being cut, the carrot pieces go through a peeler to remove their skins. While going through the peeler, they tumble together (like a rock tumbler), so the edges get “polished” by other carrots during the process. This is why baby carrots are smooth and uniform looking. So there you have it. Baby carrots are real food. Continue to enjoy them as snacks and in your meals.